Circa 1893. 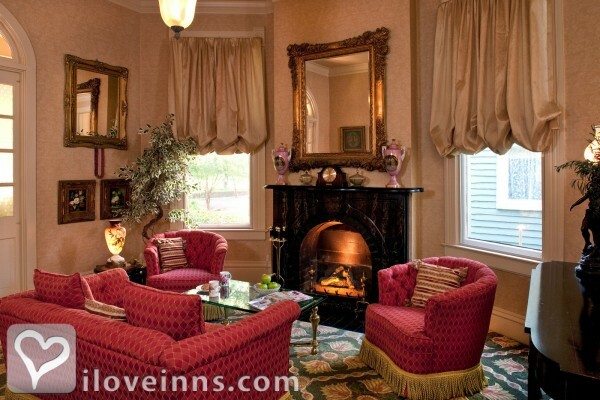 Located in the picturesque Natchez, Mississippi historic district, The Devereaux Shields House is a Queen Ann Victorian bed and breakfast surrounded by carefully manicured gardens. It was built between 1893 and 1900 and is listed in the National Register. 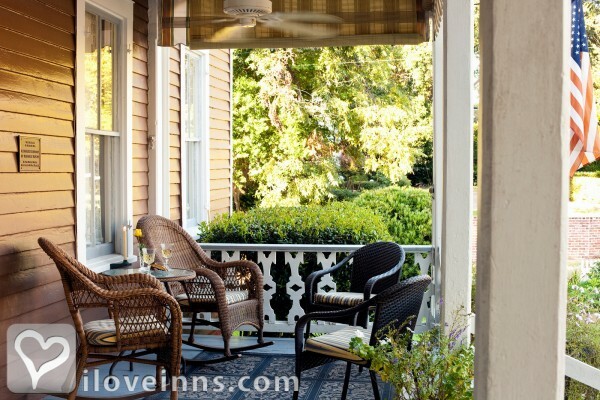 Sit on a rocker on one of the two-level front porches. 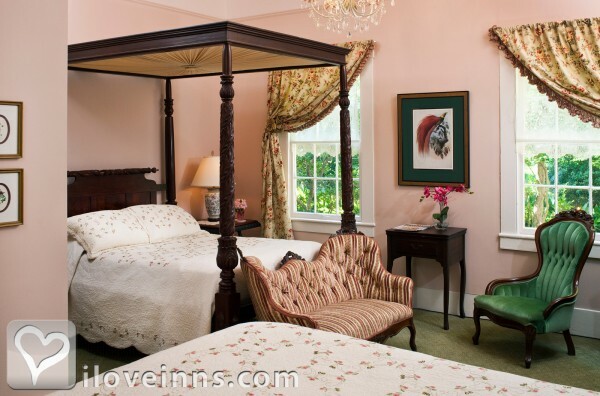 Stay in a guest bedroom or suite in the elegant main house. 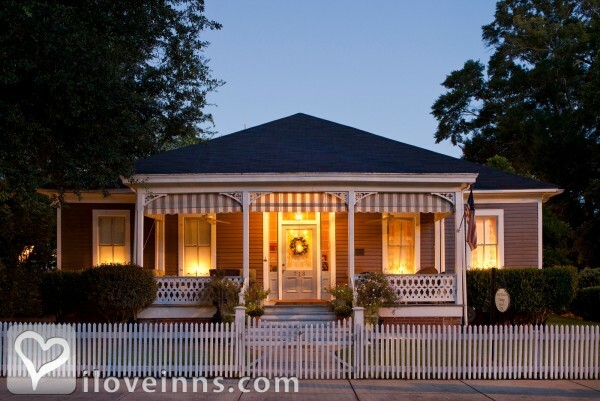 Spacious rooms are offered in the adjacent Aunt Clara's Cottage with heart pine floors and a large veranda. 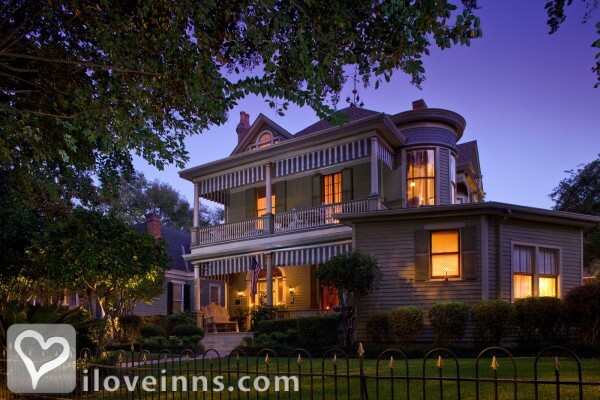 The inn is just a few blocks from the 200-foot-high Natchez Bluffs, which offers incredible views of the Mississippi River with its paddle wheel tour boats. Payment Types Accepted Include Visa, Travelers Checks, Discover, American Express and Master Card. 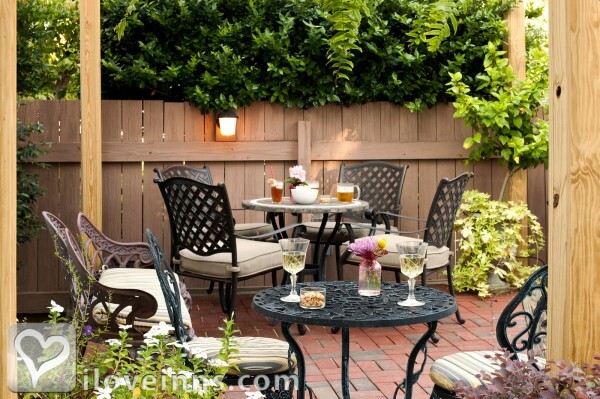 This property has 6 total guest accommodations with private bath, 1 two-bedroom suite and 1 conference room. 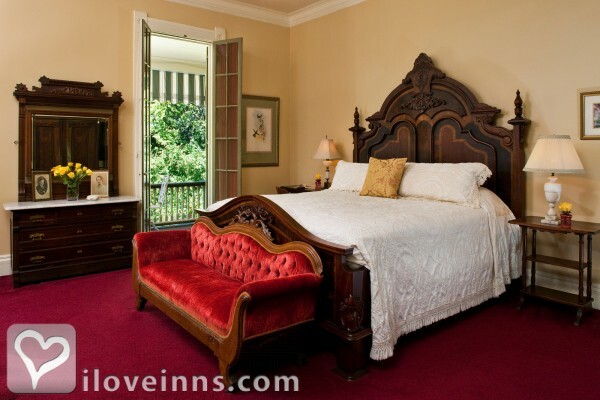 This luxurious 2-Room Suite with private 2nd floor veranda, the main bedroom features high ceilings, period antique furnishings including a king size Victorian walnut bed, Victorian walnut wardrobe, a fireplace for viewing, and comfortable Victorian seating in the turret area. 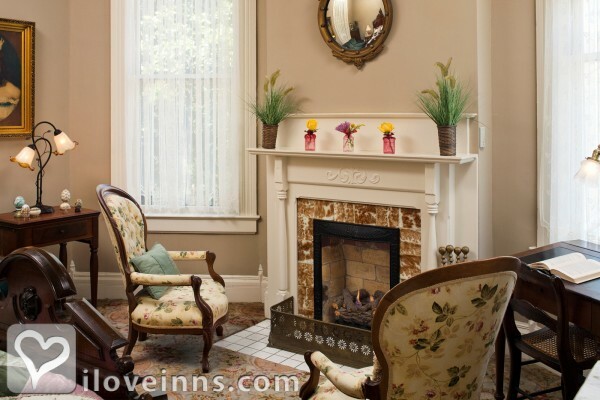 The second bedroom, suitable for accompanying family or friends, features a working fireplace an antique Victorian mahogany bed (double), antique dressers, chairs and comfortable couch. 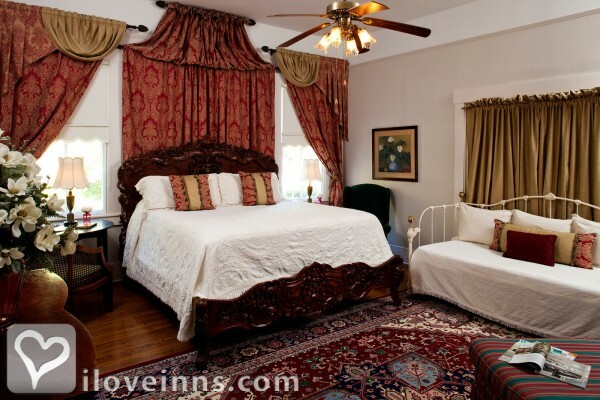 The suite includes a private bath with shower over tub, ceiling fans and cable TV for the comfort of up to 4 guests. 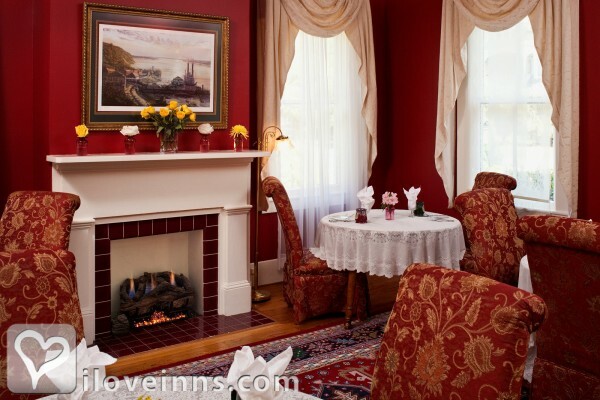 More than 2 guests may enjoy the second bedroom for our normal additional guest rate of $30/guest/night plus taxes. Rollway beds are available to accommodate additional guest needs. 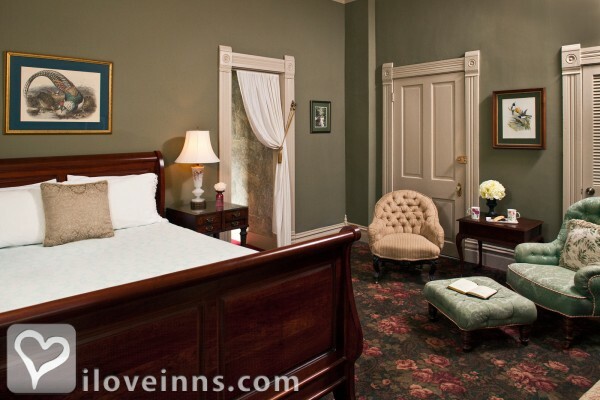 Extra large room size at 670 square ft.
a luxurious 2-Room (King and Queen beds) suite in Mississippi. Bath Style: Spa-like, largest of our bathrooms, shower over Large Cast Iron Tub with shower Room Extra large room size at 600 square ft. 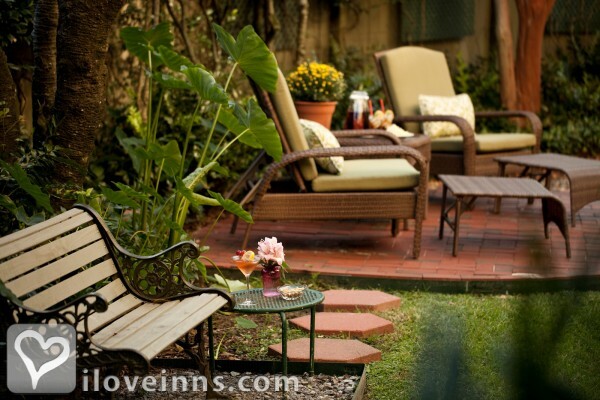 Cancellations or modifications require at least (7) days advance notice to avoid a room charge for the first night. No refund is issued if cancelled 3 days before check-in. A raincheck may be issued for cancellations. A non-refundable deposit of 10% of the total or a minimum $35 is due on the date of booking. 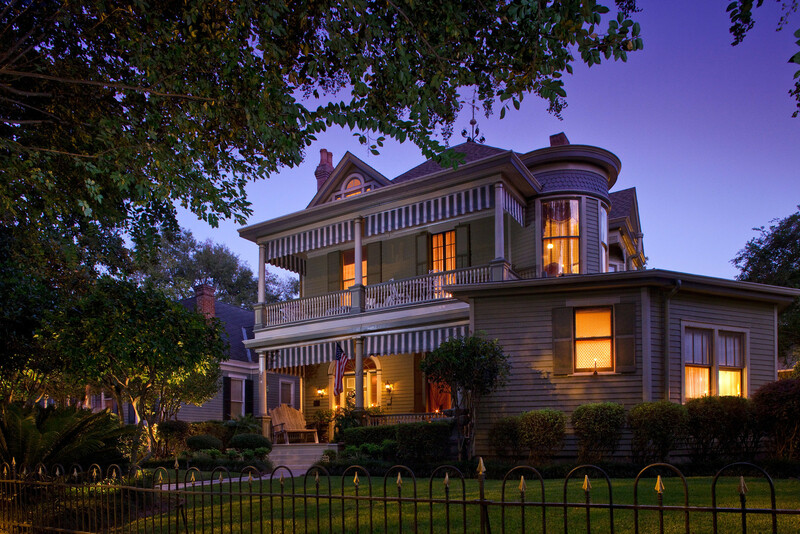 Constructed during late 1800s Victorian era, located within Natchez Historic District, Original owner fought in the Philippines during the Spanish-American War. 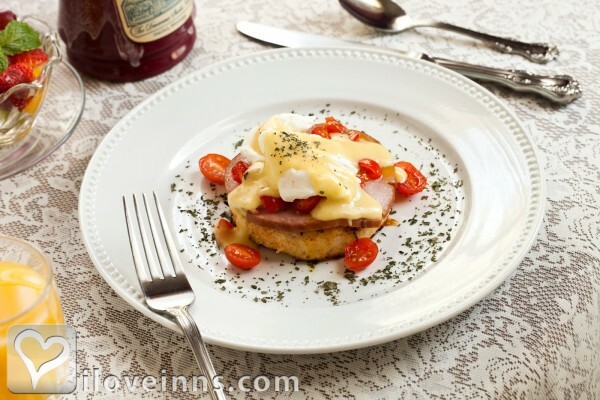 Perfect for special occasions, make this the night before for a decadent treat in the morning! A guest favorite at the Devereaux Shields House in Natchez, MS.
Had a great week in Aunt Clara'a Cottage.